How much is Joey Kramer Worth? Joey Kramer is the drummer for the American hard rock band Aerosmith and has a net worth $100 million. 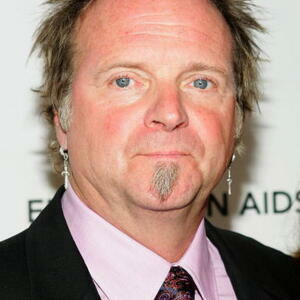 Joey Kramer earned his net worth in as a drummer in the bad Aerosmith. 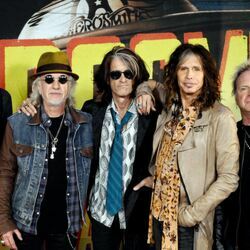 In 1970 he reconnected with a friend, Steven Tyler, who had joined forces with Joe Perry and Tom Hamilton and were in need of a drummer and he jumped in and Aerosmith took off. His first writing credit with the band was "Pandora's Box" on their second album, Get Your Wings. During the formation of Aerosmith, he was the one who suggested the name "Aerosmith. In 1973 the band released their self-titled debut album, "Aerosmith," and took to the road. Their endless roadwork paid off in Platinum and exploded into sold out pandemonium culminating before massive crowds of over 80,000 at the legendary Texxas Jam, and to a sea of over 350,000 at the famous CAL Jam in 1978. He has been known to amuse concert goers during his drum solos by striking the drums with his arms, elbows and even his forehead. For more than 30 years he has combined emotional feel with technical virtuosity to convey the musical ideas of his band mates in Aerosmith while evolving into one of rock's greatest drummers. 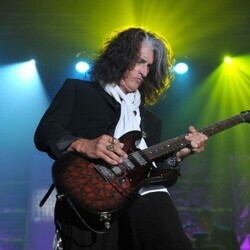 His meticulous timing and solid grooves have contributed as much to the sound of Aerosmith albums such as "Toys In The Attic," "Rocks," "Permanent Vacation," "Pump," and "Just Push Play" as Steven Tyler's voice and Joe Perry's guitar. His son Jessey also plays drums. 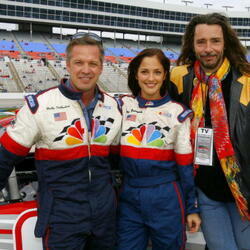 He filled in for Joey in 2005 at several Aerosmith shows while Joey was recovering from strained muscles. In June 2011, he did a fan Q&A and said that he liked outside writers because he does not care about it as long as it's all 5 members playing. Joey Kramer was born on June, 21st, 1950 in New York.